This is the best electronic Bid Whist game ever created. It works on Windows 7, Windows 8 and Windows 10. It plays with a standard 52 card deck, two jokers, a six card kitty, with trump and no trump. You play with a computer partner against two computer opponents. Play 60 popular and unique solitaire card games! 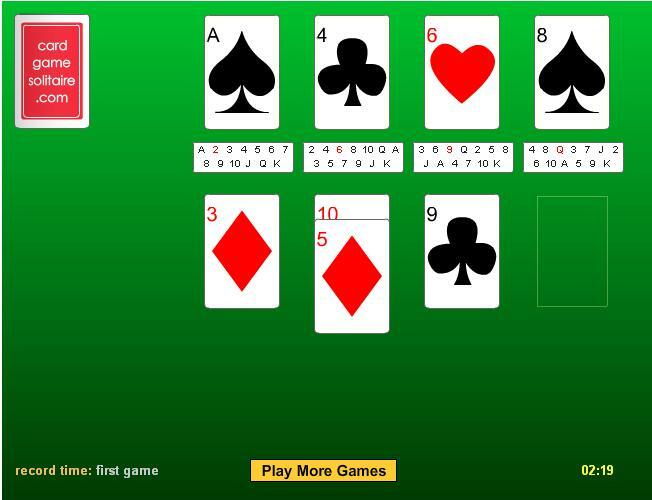 The game features include: changeable cards size, customizing solitaire rules; unlimited undo and redo; selectable decks and backs of cards; texture and landscape backgrounds; the detailed help. Solitaire games included: Aces Up, Agnes, Aribert, Blind Alleys, Canfield, Klondike, Free Cell, Golf, Monte Carlo, Pyramid, Royal Marriage, Yukon and others. 2 handed game of Cribbage with board and pegs. Name players, Won/lost games and skunks saved, Sound on/off, Hints, if you need them, Save Game for play later. Shareware version has 25 "Trial game" limit. Very competitive play. Registered versions have unlimited play, free upgrades and support. CD's of the game are $4.00 (Shareware, mailed to your home). Registration of the game is $24.00. An excellent game of Cribbage that you are sure to find an addictive diversion. 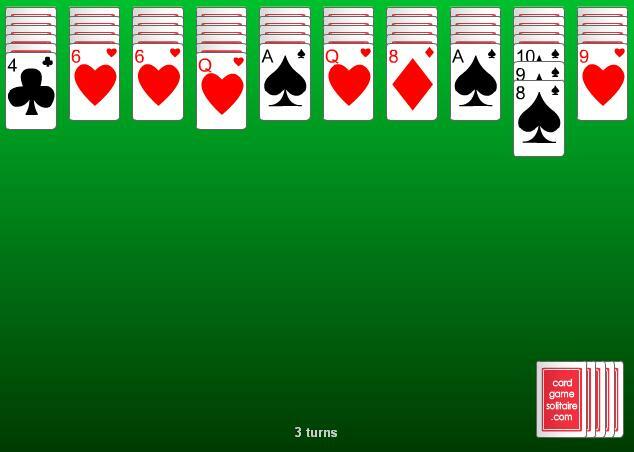 Cribbage Squares Solitaire is played by building the best possible hands in both the rows and columns. Your cards are dealt one at a time. As each card comes up, click your mouse in the desired position. 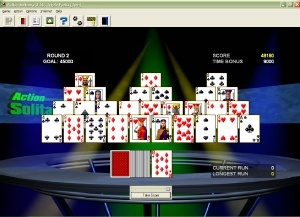 After sixteen cards have been dealt and placed, the computer turns over the starter card and scores your hands by traditional Cribbage rules. Many features included. 3 hand, Gambling version of Pinochle. Scored with chips, Played with a widow, Sound on/off, Save game for play later, name players, game limit by time or hands played, Hints, Won/lost record for two different users, Review of deal and widow. Shareware version has 25 game limit. Registered versions have unlimited play, free upgrades and support. CD's of the game are $4.00 (Shareware, mailed to your home). Registration of the game is $24.00.